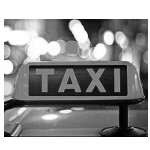 Welcome to the ATM Taxis Blog. Below you can see a list of the blog posts we have made so far. With the worst of the snow and ice behind us and Storm Emma gone we can now hopefully say spring has finally arrived at ATM Taxis and as an added bonus ATM Taxis are in full swing getting you out and about. As a result we are quickly being booked up for advanced bookings. So we advice you to get booking online or on the phone to not miss out on our fantastic offers! Graham is operating 24hrs a day 7 days a week so whatever your requirements we will make sure you get to your destination. If you are wanting a quote tick the box below and fill in the boxes and we will get back to you with a quote. It's that simple! By clicking this text box I consent to ATM Taxis using the above information to contact me. ATM Taxis will only ever use your personal information to contact you about your quote and/or booking with us. We will NEVER pass this information onto third parties. Thank you for your email. We will do our best to get back to you soon. Sorry you have some errors in your form. Please make sure all fields are filled in and correct. ADDRESS: 18 Limehayes Road, Okehampton, Devon, EX20 1NX, GB | TEL: 07934334255 | EMAIL: hello@atmtaxi.co.uk.